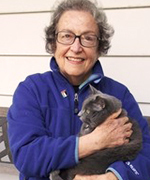 Bloomington Rotary is poised to publish I Just Kept Walking, written by award-winning author and Bloomington Rotarian Elsa Marston, with illustrations by June Allan (see bios below.) The project is designed to raise awareness of the value of cross-cultural connections, the reality that we are all part of a global community, and the fact that we can care about each other even when we are separated by thousands of miles and widely different circumstances and cultures. 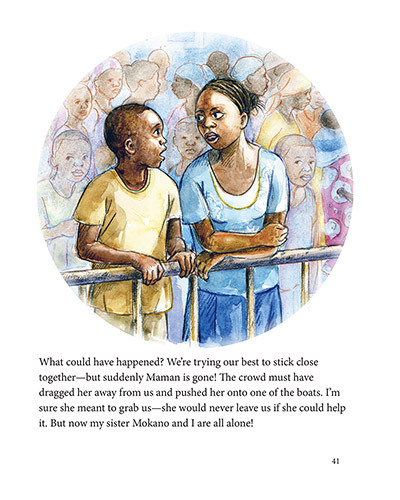 This children’s book describes the 500-mile hike on the Appalachian Trail in 2013 by Morgan Scherer, an Indiana boy, to raise money for the school in Africa, interwoven with the story of a much longer walk to safety of a fictitious Congolese boy and his family, after the fighting in the eastern Congo drives them from their village. Walking, voluntary and involuntary, is a theme throughout the book. The story emulates the four-way test in creative and thought-provoking ways. The English edition of I Just Kept Walking is currently in production and is scheduled to be ready for delivery in July 2016. Funds from the sale of the book will go towards publishing a French edition to be disseminated throughout Congolese schools – starting with the school that inspired Morgan’s walk – and to buy other books to fill the classroom library cabinets. The book will be available for $29.50, plus shipping and handling. For an additional $10, Bloomington Rotary will place a French edition in the hands of a child in the DRC. We are also recruiting other Clubs who would like to join in overall “Education Matters” program efforts to support the school in the Congo. Interested Clubs may contact Bloomington Rotary through our website www.bloomingtonrotary.org. 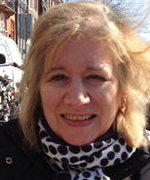 Elsa Marston is an award-winning author of over 20 teen and children’s books, specializing in the Middle East and North Africa, ancient and modern. She has a master’s degree in international affairs from Harvard University with further study at the American University of Beirut, and has lived in Egypt, Lebanon, and Tunisia with her husband, the late Professor Iliya Harik of Indiana University. In addition to her books with Wisdom Tales (The Compassionate Warrior and, forthcoming, The Olive Tree), her recent work includes Santa Claus in Baghdad and Other Stories About Teens in the Arab World, Women in the Middle East: Tradition and Change, The Byzantine Empire, and Muhammad of Mecca, a historical biography. She lives in Bloomington, Indiana, and is a member of the Rotary Club. After graduating from Edinburgh College of Art, June Allan taught Art and Design for several years before becoming a freelance portrait painter. In 1999 June started illustrating Children's Books, working for Frances Lincoln Ltd, Miles Kelly Publishing and Floris Books amongst others. HorsePower commissioned her for illustrations for the 2008 and 2009 Royal Windsor Horse Show cataloge and website. Gervalie's Journey written by Anthony Robinson and Annemarie Young and published by Frances Lincoln Ltd, was winner of USBBY Outstanding International Books 2009 and Scholastic Best Books of the year 2008.